In a pure vision, the Bodhisattva Samantabhadra, the great spirit of Emei Mountain, told Grandmaster Bai Yun to take the teachings and pass them down, lineage holder to lineage holder, master to master, in order to help future generations. The years surrounding the Second World War were a time of great political and social turmoil in China, and people's lives were very difficult. During this time, when Grandmaster Yong Yan was traveling from mountain to mountain, he met an army major general, Zhou Qian Chuan, who was a Western medical doctor. Major General Zhou had serious internal cracking in his liver caused by the violent vibrations of a bomb that had exploded very close to him. He had tried all the famous Western medical doctors and no one could heal him. Grandmaster Yong Yan befriended the major general, treated and cured his ailments with Emei Qigong healing techniques. Overwhelmed with joy and gratitude, the major general wanted to leave all his responsibilities to become a monk and to serve this great man who had restored his health. 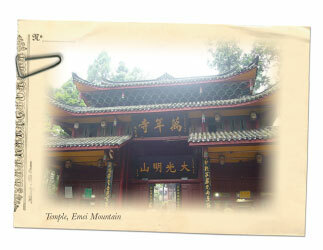 Grandmaster Yong Yan refused his request to become a monk but allowed him to come to Emei Mountain to study under him. Zhou Qian Chuan studied with and served Grandmaster Yong Yan for 13 years, and the Grandmaster ordained him as the first layman to receive the title Lineage Holder. So it was that Zhou Qian Chuan became the 12th Lineage Holder of Emei Qigong. With the introduction of a lay lineage holder, Grandmaster Yong Yan altered the tradition of passing the lineage only from monk to monk. The lay lineage holder was to have two major responsibilities. One was to spread the teachings of Emei Qigong to the public so that more people may benefit from the powerful knowledge held within the Emei Tradition. The second responsibility was to pass the complete teachings to a monk lineage holder so that the teachings may be kept intact, pure and accurate. With Grandmaster Zhou, as the first lay Lineage holder, to help take over, Grandmaster Yong Yan then left Emei Mountain and went to Southwest China. And as he had foreseen, monks were imprisoned or killed and many of the monasteries on the mountain were destroyed, including the Golden Summit Monastery. The newly ordained Grandmaster Zhou stayed on Emei Mountain but often came down and traveled to the Kangding area to help people suffering the ravages of war. When World War II ended, Grandmaster Zhou went to Beijing to seek the Supreme Buddhist Abbot Ju Zan, the monk to whom he would pass the Emei Qigong traditions and teachings. Abbot Ju Zan’s whose religious status and title is similar to that of the Tibetan Dalai Lama. 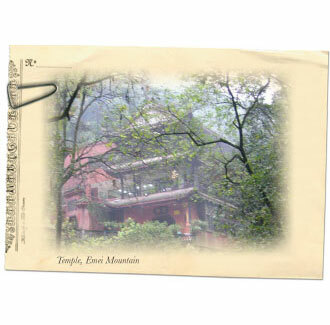 Abbot Ju Zan knew of the great Emei Qigong system through visions and was prepared for Grandmaster Zhou’s arrival. 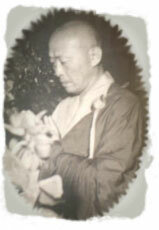 After a number of years of studying (1950 – 1958), Grandmaster Zhou ordained Abbot Ju Zan to also be the 12th Lineage Holder. Grandmaster Zhou taught the monk everything that Grandmaster Yong Yan had taught him and they shared the lineage together, according to Grandmaster Yong Yan’s vision. In the 1960s, China’s Cultural Revolution began and Grandmaster Ju Zan was wrongfully imprisoned for eight years. In prison, he meditated and saw the future of Emei Qigong. He was released in the early 1970s. The future envisioned by Grandmaster Ju Zan centered on a young man named Fu Wei Zhong who began his training on the day he was born in 1949. Driven by an exceptional interest in old texts, he studied traditional Chinese medicine and read ancient Chinese philosophies when he was only six years old. By the age of 12, Fu Wei Zhong was treating and healing people with techniques he had learned from his readings and the instruction from his grandfather, a traditional Chinese medical doctor. He began his martial arts training in Shaolin Gongfu at the age of seven. He became a student of Luo Xing Wu, an eminent Chinese martial arts grandmaster, from whom he learned many martial arts disciplines, including Xingyi and Bagua Gongfu. Like many other young people during the Chinese Cultural Revolution, Fu Wei Zhong was sent to northeast China's Heilongjiang province. Because of his training, he worked as a veterinarian. He was 18 years old when he arrived and opened a medical clinic. For eight years, he used traditional Chinese medicinal herbs and treatment techniques, including acupuncture and Chinese massage, to treat multitudes of sick people and animals with great success. Since childhood, Fu Wei Zhong had had a recurring dream of a monk. He did not recognize the monk nor knew why the images kept coming to him. When he saw the Abbot, he recognized him as the monk from his dreams. At their meeting, they looked at each other and the Abbot said, “Oh, you’ve finally arrived, it’s time for you to train!” as if they already knew each other. Fu Wei Zhong underwent training to be the 13th layman Lineage Holder of Emei Qigong. He received instruction in Buddhism, Daoism, traditional Chinese medicine, Taijiquan, Qigong, Feng Shui, future prediction, and other Dharma methods exclusively transmitted from one Lineage Holder to another within the Emei Qigong system. Fu Wei Zhong was usually in seclusion—studying, cultivating, and integrating the system’s ancient texts into practical forms and easy-to-read language that could be effectively taught to the public. In the spring of 1985, Fu Wei Zhong began teaching Emei Qigong healing techniques throughout China, initiating a national revitalization of the role of Qigong in Chinese medicine's theory and practice. In 1989, he went into seclusion again to meditate for three more years. During this period of extended meditation, he achieved the Qigong state necessary to decode and decipher the obscure and complex Emei Qigong teachings and techniques and adapt them into a form that could be more easily taught to the public in our fast-paced modern society. Grandmaster Fu now teaches some of these skills in his lectures, seminars and writings. Grandmaster Fu has successfully cured tens of thousands of people who have come to him for healing. At age 36, he was recognized as one of the most prominent grandmasters of Qigong and Traditional Chinese Medicine. The Chinese have dubbed him “Emei Wizard” and “China’s Medical Buddha," as well as deeming him “The Father of Modern Medical Qigong.” In addition, Fu Wei Zhong has been made lifetime president of two Qigong institutions: The International Medical Qigong Academy and The Emei Linji International Qigong Medical Research Institute, and he holds honorary positions and titles in more than 50 hospitals, medical colleges, Qigong clinics and Qigong associations in China. Fu Wei Zhong is a learned scholar. Having read thousands of books, both Chinese and foreign, he is well versed in the medical, philosophical and theological theories of different schools, both Eastern and Western. While studying, he took careful notes and wrote down his reflections, which number over three million words. To date, he has published six books and over twenty treatises in China. Fu Wei Zhong immigrated to the United States in 1995. 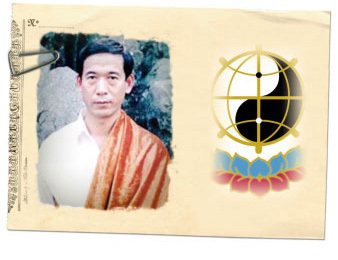 His goal was to disseminate Emei Qigong’s therapeutic techniques so that its methods could be fused with contemporary western medical techniques. His goal is to alleviate much of the suffering in today’s world. He was determined to transmit the knowledge and skills of Emei Qigong to the American public. Today, there are many thousands of Emei Qigong students in the United States and 2 million followers of Emei Qigong worldwide. What the world needs now,more than ever, is a heart-centered system like Emei Qigong to bring health, vitality and true kindness to people. 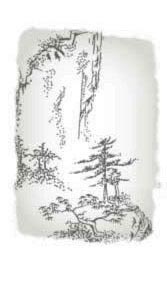 Fu Wei Zhong had made two majorpromises to his Master, the Venerable Abbot Ju Zan. He was to pass on the complete teachings of the Emei Linji Qigong tradition to the next monk lineage holder so that the wisdom of Emei Qigong be rigorously preserved andavailable to be passed onto the future . Secondly, he was going to spread the teachings of Emei Qigong in the world so that many may benefit from it. He has identified and is in the process of teaching the next monk lineage holder. To spread the teachings of Emei Qigong to the world, he has developed a system of courses to be completed by dedicated students. These students would become teachers of Emei Qigong so that they may continue his work to spread and share the benefits embodied in Emei Qigong. In the fall of 2006, Grandmaster Fu taught the Level IV seminar, the Emei Qigong Level I Teacher’s Training, for the first time. 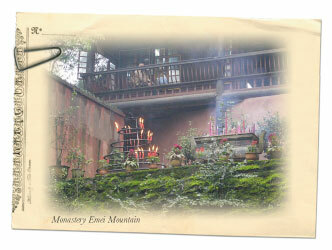 This month-long session was held at Emei Mountain in China, and selected students lived and studied at the base of the mountain during this time. The training was successful; students emerged from this intensive training with a much deeper and comprehensive understanding of Emei Qigong, and many will continue their training to become Level I teachers. A second group of prospective Level I teachers took the Level IV training in 2007. For the next few years, Grandmaster Fu will concentrate on training the monk who will become the next lineage holder in China and the students who will become Emei Qigong Level I , Level II and Level III teachers.